This is a very contextual one, and should be handled carefully. You probably know what I’m talking about though right? It's that friend who's always confused when you call someone “such a Rachel” and respond, “Oh, sorry, I don’t watch F●R●I●E●N●D●S; I don’t really watch TV.” I realize that’s a dated reference and I don’t care. Secondly, I don’t even know what “such a Rachel” would mean because I didn’t watch F●R●I●E●N●D●S. Thirdly, I don’t think I’ve heard anyone say, “Oh, I don’t watch Netflix or any streaming video,” so I can’t make the same reference for House of Cards. The beauty of the internet is I knew someone would make a Friends/House of Cards mashup, and I was right. Anyway, here are a non-exhaustive list of things you can not do and casually mention that you don’t do: watch TV, watch movies, watch non-foreign movies, watch movies that aren’t “films”, read fiction, read nonfiction, read?, listen to mainstream music, listen to the radio, listen to non-NPR radio, listen to non-classical radio, play ball sports, use an alarm clock, eat out, eat meat, eat fish, use Facebook, use Twitter, use Pinterest, use GChat, use AOL?, have a car, have a bike, have an iPhone, have a smartphone, have a phone, play video games, read blogs, buy clothes, buy cheaply made clothes, buy jewelry, buy stuff, work. You might be surprised this isn’t a bulleted list. That’s right, we change it up sometimes. Actually, I just couldn't figure out columns in this stupid blog editor. To continue my thought, here’s the thing though - you can’t just go around spouting off about how you don’t read. People are just going to think you are illiterate. You can generalize that over the rest of the list. No, there are two rules to talking about what you don’t do. First, you have to do it in context. If someone is talking about the latest Fifty Shades of Grey book (also, with that many books in the series, wouldn’t you just sum up the shades, so it’s fifty in the first one, one hundred in the second, and so on? 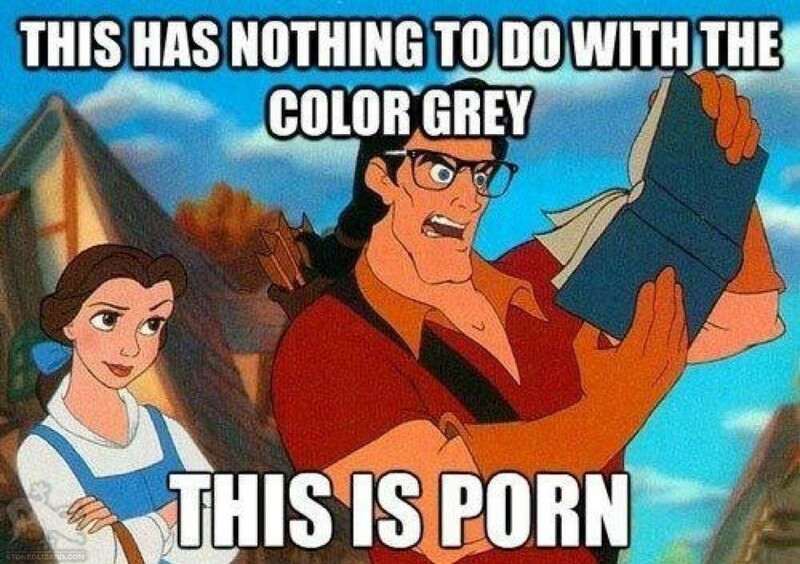 Also, how many actual shades of grey are there? Like, actual colors?) then you can mention you don’t read. Second, you have to give a reason, which usually involves you having being on some philosophical high ground. “You know, I don’t actually read. I think reading is a poor substitute for experiencing the world more viscerally, especially when it comes to Fifty Shades of Grey.” Actually, that’s a dumb sentence, but you can figure it out. In conclusion: don’t do stuff, then talk about how you don’t do it, and people will be impressed by you. Or silently judge you, but you know, that’s the risk you run with humanity. Talking about going to the gym is fantastic, especially if you do it between February and December, inclusive. You are basically subtexting that you are better than everyone who has given up on his or her New Year’s resolution, or everyone who wants to lose weight/gain weight/look good but doesn’t do anything about it, which is basically everyone. Also, it’s really easy to do. You can do it on days you are planning on going to the gym and talk about what you are going to do at the gym that day. You can do this on days after you go to the gym and either celebrate or fake complain about your last workout. Heck, you can even wait two days and just complain about DOMS. That sounds like all you’d need to seem impressive, right? Like, we’ve done our job already. WRONG. Here at HTSI, we are all about taking it to the next level. Here are things to mention when you talk about going to the gym. Each one is one extra impressiveness point. Also, obviously, the points aren’t real and don’t matter. More might not be better, I don’t know. Also, you can generally replace the gym with other exercise - basketball, tennis, golf, cycling, running, swimming, yoga maybe, hiking, rowing, fencing, rugby, chess boxing, you know the list is long. The secret is just talking about looking good without necessarily looking good. “But what if I don’t go to the gym?” you might be asking. Well, you can lie. Or, start going to the gym. I don’t know, I don’t have this problem. Chris might. Maybe he will write about that. Full disclosure: this one requires kind of a lot of effort. You have to actually frequent the same location over and over again, on the same days, so you see the same people. You have to initiate charming and memorable conversation with the staff, drawing from your vast well of learned impressive-osity. But if you do this right, it can have really "outsized returns" in the form of free food. Also, you will probably feel really cool. “But Chris, how do I choose somewhere to frequent?” is the obvious next question. Being able to walk into a restaurant or bar where everyone recognizes you and knows your name can either be impressive or embarrassing (or just like Cheers! - Angelo). Here are some questionably helpful guidelines! I’ve also included some San Franciscan examples, to subtly show off my good taste in food. Authentic “ethnic” cuisine. The owners might never learn your name but will smile enthusiastically every time they see you. Also, when you take your “non-ethnic” friends, they’ll be super impressed with your worldliness. Bonus points if you speak the language. Ex) House of Pancakes. It’s not a breakfast restaurant. Moderately-priced, slightly upscale American appropriations of “ethnic” cuisine. Not expensive enough to make people think you’re a frivolous spender, but just classy enough to care about things like locally sourced ingredients and unusual flavor combinations. Ex) Bougie Mexican, like Nopalito and Padrecito. Coffee shops that are not Starbucks, Peet’s, or Coffee Bean. Bars that serve quality alcohol. I have no expertise in actually recognizing quality alcohol, but I have a lot of expertise in internalizing snarky comments that my coworkers make about mediocre whiskey and watery beer. Ex) Tradition. Quality dessert locations. This is the category that my location-where-I-am-a-local is in. I recognize how awkward that sentence was, and have no desire to try fixing it. Ex) The Ice Cream Bar. I get free waffle cone pieces and a pretty steady discount on their wildly expensive floats. Applebee’s, T.G.I. Friday’s, Cheesecake Factory, Hometown Buffet, or any other American Chain Restaurant Abomination (ACRA). I realize this may eliminate a vast majority of the US from participating. Starbucks, Peet’s, or Coffee Bean. Large multi-national fast food chains. I feel like they’re kind of enjoying a nostalgic resurgence - who doesn’t crave McDonald’s fries? Fun fact: the reason they are so delicious is that when McDonald’s switched to using vegetable oil, they added flavoring to make the fries taste like they were still being cooked in beef tallow. This tip is especially effective to impress out-of-town guests, because it really makes you look like you’ve become a native of whatever city you’re living in. It’s way impressive to seem like a real New Yorker or San Franciscan or Chicagoan or Bostonian or Bakersfieldian or Ottowan. This will be a short post. I won’t say I’m busy, because that will violate the advice we gave around seeming busy. I’ll just let you infer. I once had an epiphany about what makes people tidy. Angelo was over at my house, and we were in the kitchen chatting. I have a reclaimed wood tray that holds all of my tea (and tea peripherals), and Angelo picked up my two mesh tea infuser clamps from the tray and started playing with them. 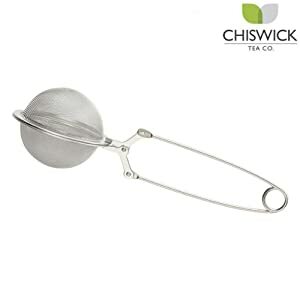 In case you don’t know what a tea infuser clamp is, here’s a picture. After we were done chatting, and he was done making the tea infuser clamps look like they were talking to each other, he set them on the counter next to the wooden try he got them from and then walked over to my couch to watch League of Legends or something. I was flabbergasted. Why not just put them back in the tray? It was exactly the same amount of effort. This was my revelation, and is my advice to you, reader: all it takes to be tidy is to put things back where you found them after you are done using the things. Your house will become effortlessly more impressive on a daily basis. I didn’t think I would spend the entire post complaining about Angelo, but he was really the only character in my anecdote. Also, I’ve read his next post and he totally disses me, so I’m preemptively dissing him first. How to seem impressive: always be one step ahead. When I was in elementary school, we used to spend part of our class time transcribing our Social Studies textbook chapters into outlines. Presumably, this was to help us understand how to write outlines - probably to learn stuff like using roman numerals and organizing unstructured texts into logical bullet points. Instead, I would sit next to Robin Ong, so I could learn to copy her handwriting because I thought it was pretty. I was a weird little kid. I think it’s paid off, though. While my handwriting has changed throughout the years, meaning I no longer write like I’m a teenage girl, I’ve always maintained a high standard for my letterforms (said the pretentious designer). Huh. Now that I think about it, I wonder if my childhood urge to have nice handwriting was the precursor to my painfully stereotypical obsession with typography. HTSI: delivering profound psychological insights. Anyway - at this point, you might be asking, “But Chris, my handwriting is absolutely atrocious. Isn’t it too late for me? Haven’t I already passed my handwriting window of opportunity?” To which I say, “Could be! I have no actual experience in teaching someone how to have better handwriting!” Maybe this post was a bad idea. Oh well. Here are some tips anyway! I mean, this is basically what 5th grade Chris did. Robin was my handwriting idol. And then in 8th grade, my write-dol (this blog has really increased my punning aptitude) became my friend Stacy Chen, whose handwriting was not only neat, but super edgy. Like, literally - a lot of letters that are normally round, like “o” and “c”, had sharp corners when Stacy wrote them. I was instantly smitten. Also, Stacy loves HTSI so I thought it’d be fun to give her a shoutout. Handwriting is all about muscle memory, so if you currently have terrible handwriting, your hand basically needs to forget everything it ever knew about letters. This might be far more effort than it’s actually worth. I have no quantifiable evidence that cool handwriting is impressive. If this all sounds like a lot of wasted effort to you since it’s 2015 and everyone mostly just types stuff, you would not be wrong. If you’re too lazy to improve your handwriting, you could also just up your typography game by getting some nice fonts or something. I have recommendations, but now I feel like I need to leave at least a little bit of work for you to do, since you’re already taking the easy way out.